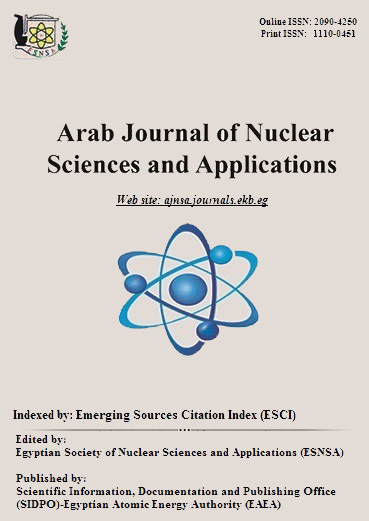 In this work the radiation dosages and hazards that are emerging due to dose that are facing the drivers and workers who are involved in transporting naturally occurring radioactive materials NORM in Egypt, were assessed and compared with the accepted doses in many countries. Two scenarios were used: the first was the truck driver scenario, while the second was loading-unloading workers scenario. Workers’ scenario was used in this study for evaluating the dose and risk to workers who process recycled materials. The annual working hours for truck drivers were selected according to normal and heavy and abnormal duties as 200, 400 and 600 hours. Working hours for loading-unloading staff were also selected under various conditions of duties to be 50, 100 and 150 annual hours. External and internal exposure for drivers and workers were estimated according to the properties of materials. Zircon, phosphate and bauxite were the assumed cargos. The dose due to inhalation of contaminated dust were considered in addition to the external dose of γ-radiation.